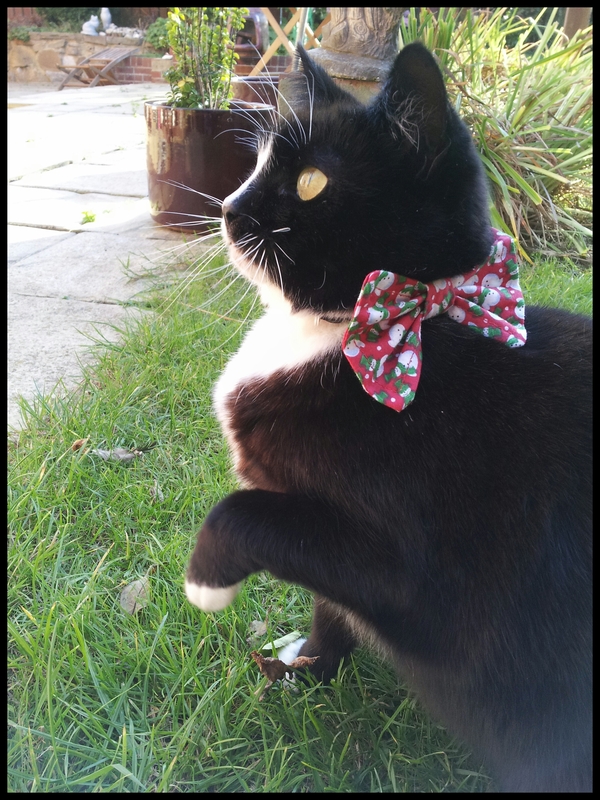 Inspired by a very famous little penguin, have a peek at this lovely little cat collar which is definitely my favourite for Christmas 2014. 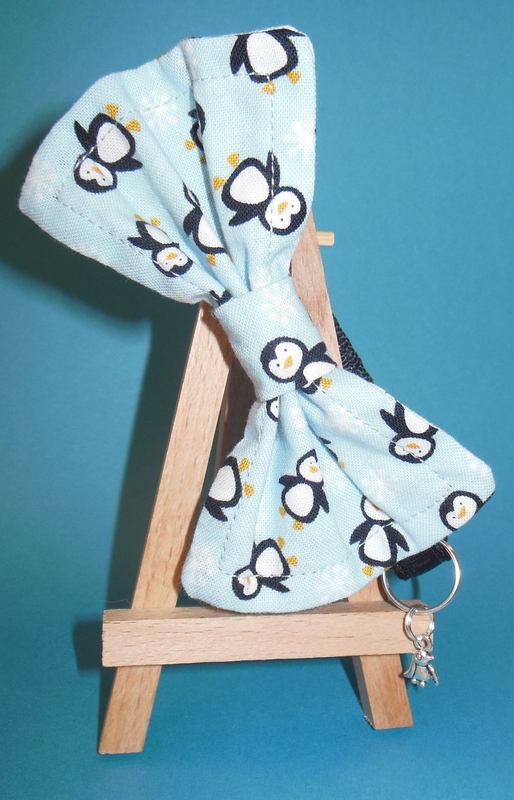 You’ll find lots of tumbling mini penguins set against an arctic blue background and as always, my collars are all handmade in not so sunny Sunderland using lightweight, flexible material and an adjustable safety buckle. 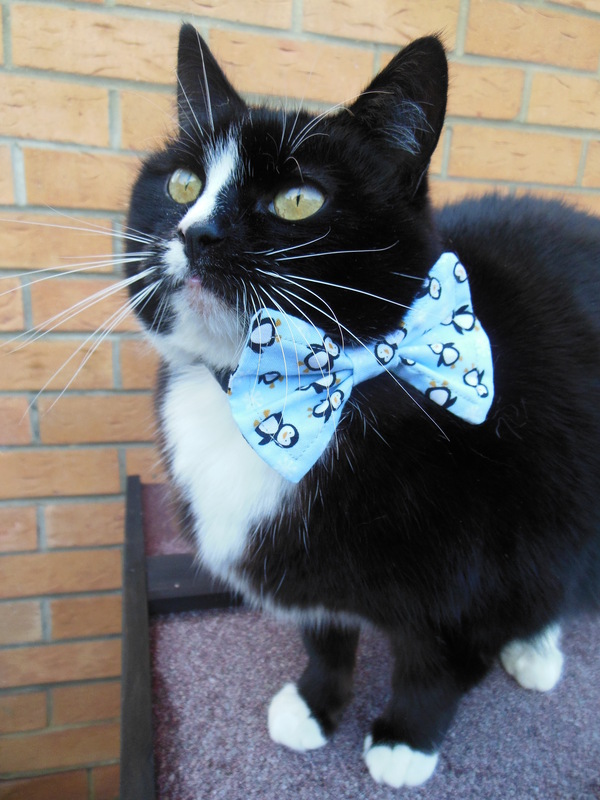 Lyla looking a bit like a penguin herself in her fetching tuxedo! 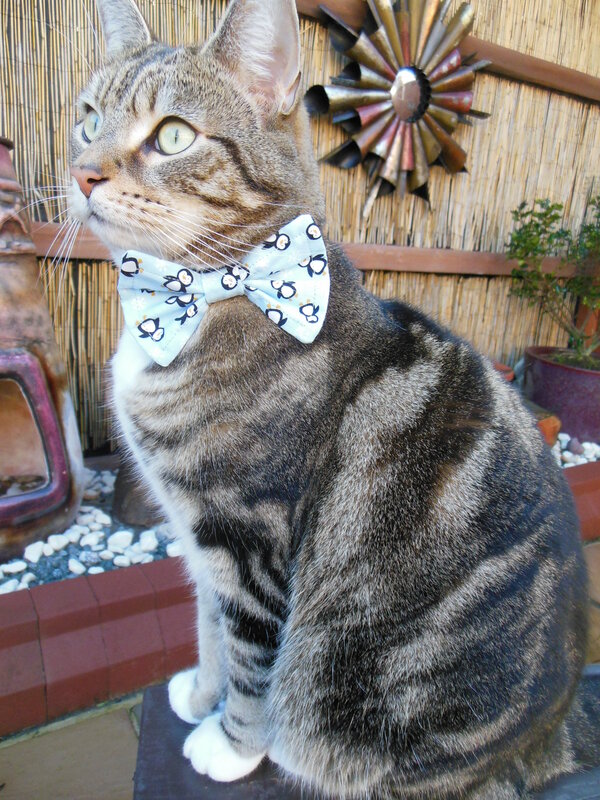 Each collar comes with a matching penguin charm to finish off the festive look, dangling from a split ring so that you can attach your cat’s name tag too. 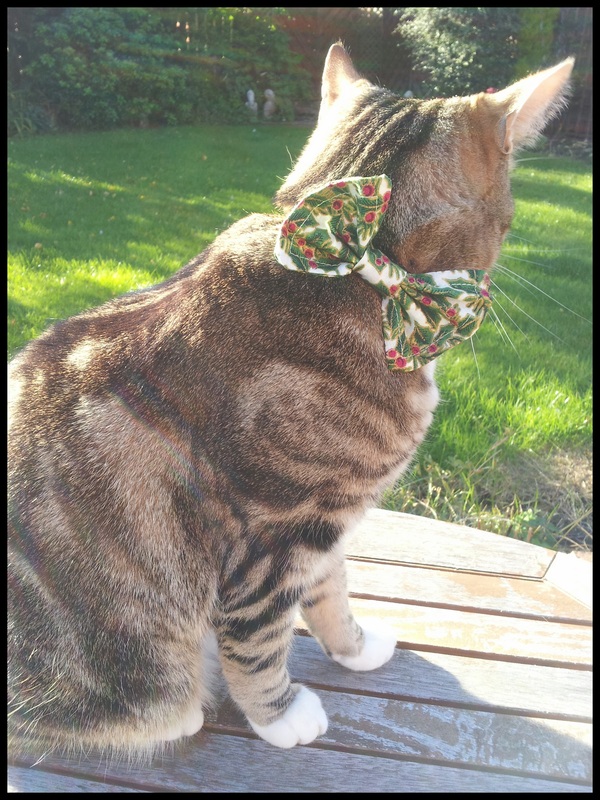 Head over to my Etsy shop to have a look at all the other bow ties. And remember, penguins don’t jump – they bounce! 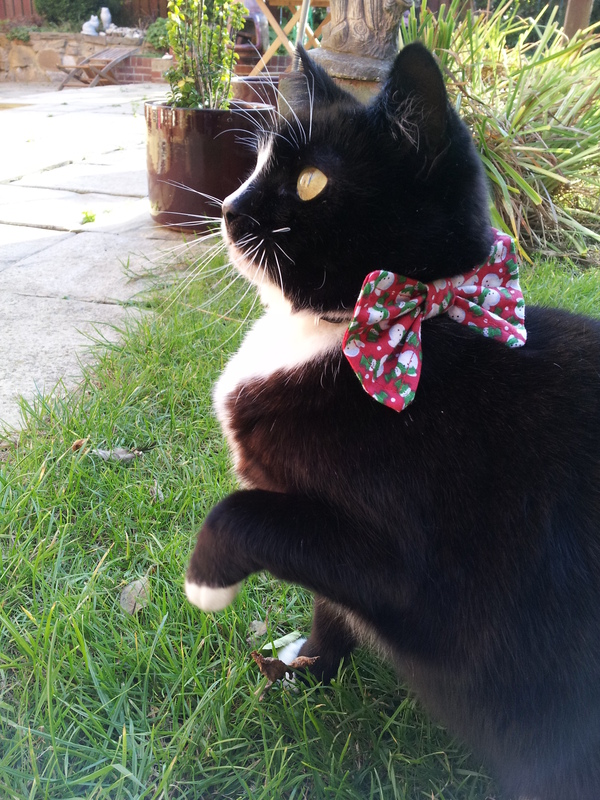 Bow tie cat collars are the perfect Christmas present for your furriest friend (Lyla-cat says so!). 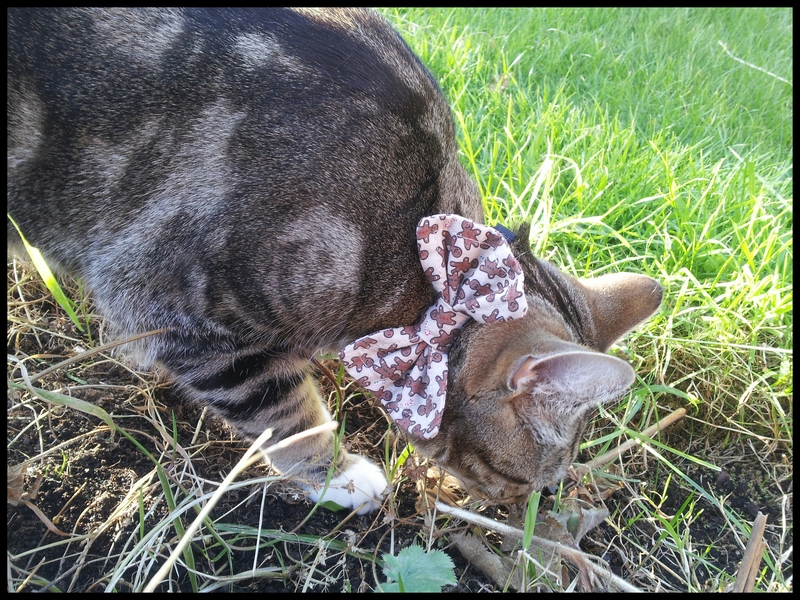 These four designs are all attached to a handmade, adjustable safety collar which makes sure your kitty is kept out of danger. 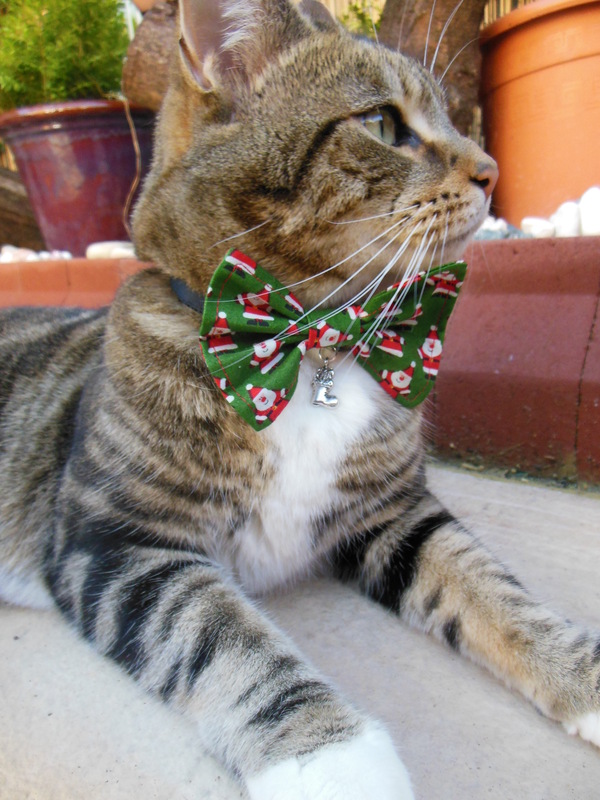 The bow ties themselves are made out of a lightweight cotton, so as to not wear down your little Christmas cats, so please have a peek. 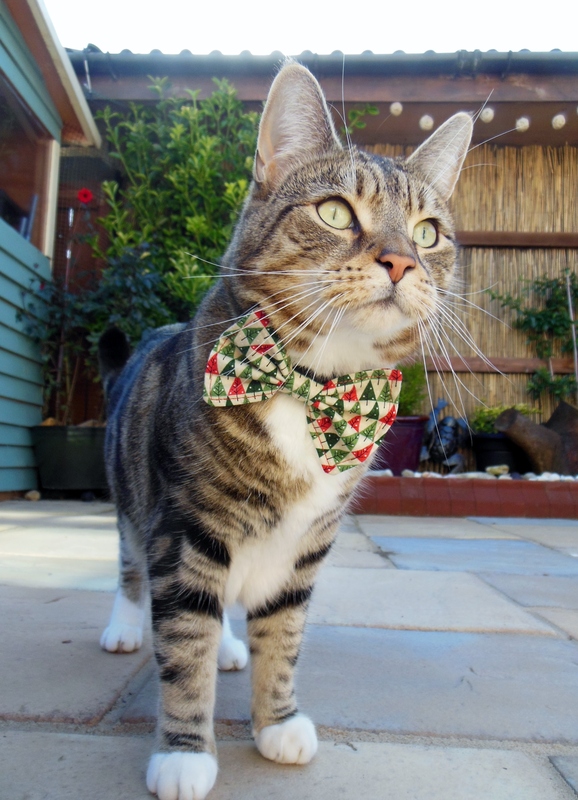 And Whiskers Boutique has gone international – this month, bow ties are winging their way to America, Australia and Sweden – so happy holidays, happy Christmas and god jul! 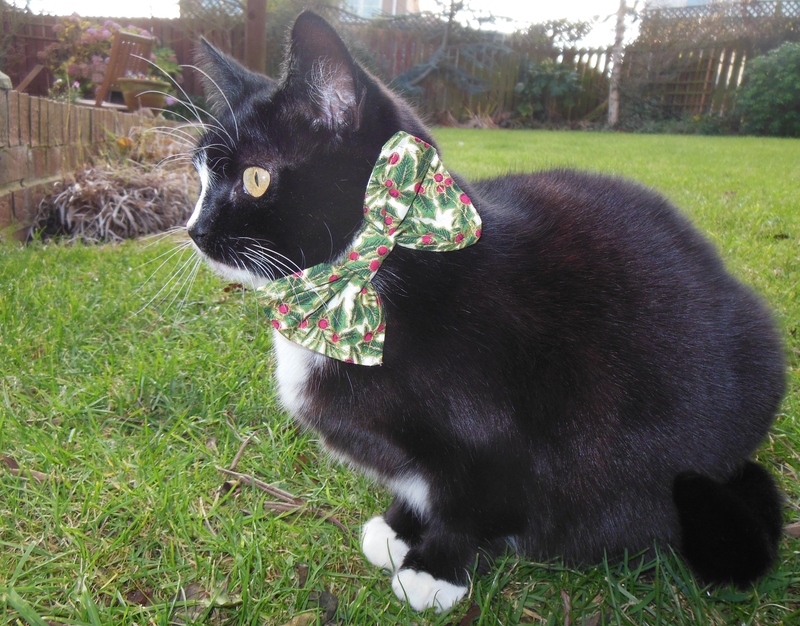 Handmade bow tie cat collars are available to buy from my Etsy shop. 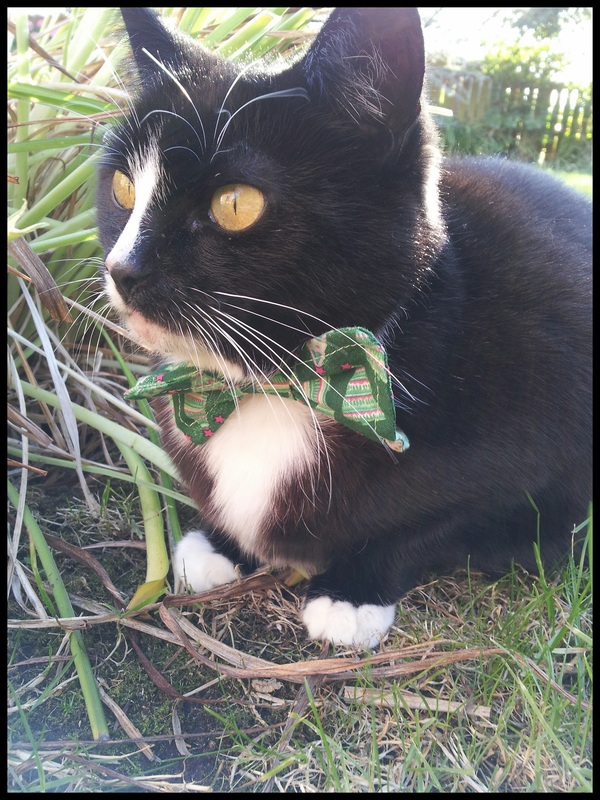 Our Boop nearly all grown up!